Getting in and out of a chair can become difficult due to age, mobility issues, and other health conditions. Just because you or someone you care for may have trouble getting in and out of a favorite recliner doesn’t mean that you need to sacrifice comfort. Rather than continuing to struggle or getting a chair that’s uncomfortable, why not consider a lift chair? At first glance, a lift chair (also known as power lift recliners) looks just like a regular recliner and fits in with the decor of any living space. Lift chairs for elderly are a perfect option when an individual has less muscle strength, may have balance issues, or not enough energy to get out of a chair unassisted. Rather than relying on someone to help each time he or she wants to get in and out of a chair, a power lift chair allows for more freedom while staying safe and comfortable. 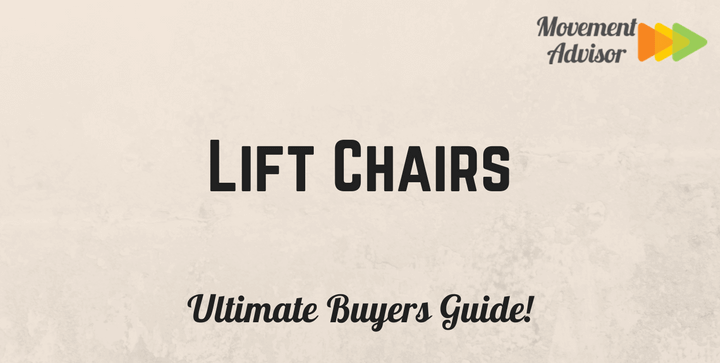 While there are a variety of lift chairs available, it’s always good to do a little research before buying. We will guide you through the process of selecting the right lift chair and share some of our favorites. As we mentioned above, lift chairs look very similar to a regular recliner. So, what’s the difference? While a recliner allows you to lean back and put up your feet with manually, a lift chair does the same but with a simple push of a button. In addition to lifting your feet and reclining, a lift chair will lift you from the seated to standing position. Power lift chairs are available in a variety of positions and depending on mobility or health conditions; one position may be more beneficial than another. A 2-position lift chair is basic (similar to a regular recliner) and has two positions. The individual in the chair can either sit up straight or recline at a 45-degree angle. The back and footrest work together; the backrest reclines, and the footrest raises. A 2-position lift chair is controlled manually or with a remote or button. A 3-position lift chair is similar to a 2-position chair but offers more of a horizontal recline. The backrest and footrest do not create a perfectly flat plane (there’s a slight “V”), but it’s a comfortable lounge position and suitable for naps. This style of lift chair has the most options. Infinite position chairs come with separate motors for the back and the feet so that you have complete control over the positioning; the head and the feet don’t need to move in the same direction or angle. An infinite style is particularly beneficial for individuals with poor circulation or other health issues. Other position options you may come across include Zero Gravity or Trendelenburg position. Just like a recliner, a lift chair can take up quite a bit of space, but it doesn’t take up much more room than a regular recliner. If you are planning on putting a lift chair in a smaller room, make sure you take measurements before purchasing. Before you buy a power lift chair, you should make it is a comfortable fit for your body type and size. Choosing the wrong size can affect the way the chair reclines and positions. If you have a chair that already fits you well (that you are planning on replacing with a lift chair) take measurements of the chair, such as the seat size, the seat width, and the seat and back height. If you don’t have a chair to measure, measure the individual while he or she is sitting in a straight back chair. Adjust your measurements with a few extra inches. When conducting your research, whether in a furniture store or online, don’t forget to check how much assembly is required when setting up a lift chair. Some chairs require very little, others a little bit more. Some companies include an instructional video; others only offer basic instructions. Since a power lift chair is a big investment, you want to be confident in how it works and how to put it together. While some power lift chairs look outdated and fail to fit in with the decor of any living space, the Serta Perfect Lift Chair has the comfort of a recliner and looks like an heirloom. Covered in faux leather upholstery, it also has a hand-applied nail head treatment. This 3-position chair has a weight capacity of 375 pounds and is recommended for any user between 5’4” to 6’4” in height. For the chair to work properly you must allow at least 15 inches away from the wall. Seat dimensions include a width of 20” and a depth of 20”. The overall width of the lift chair is 36” and the height is 41”. The height, from the seat to the floor, is 20”. This lift chair is ideal for multiple users within a household, especially those with different body types and sizes. A great chair for napping and supports the whole body while reclining. Perfect for anyone with mobility issues or health conditions that require elevating legs. This 3-position electric power chaise lounger is a great addition to any space, whether it’s in a spacious living room or a smaller bedroom. With an emergency battery pack, an individual can still use the chair if there’s a power outage. Similar to other 3-position lift chairs, this chair is operated with USB hand wand. For the chair to recline properly, it is recommended to leave at least 19 inches between the chair and the wall. This chair is also available as an Infinite position lift, which means that the user has complete control over customizing the “perfect” position. If you love the look of leather but don’t like the way it makes you sweat, the Merax Power Recliner and Lift Chair is a great addition to any room. With oversized, padded cushions and armrests covered in a soft PU leather, you can sit comfortably for hours without worrying about getting too warm. While this chair is a basic design, it is made of heavy duty steel construction and offers all the benefits of a 3-position chair. Looking for a high quality, multi-purpose chair upholstered in real leather? This power lift chair is a great option. With ample cushioning, this chair is comfortable enough to enjoy for hours or when napping. With one motor, it reclines to 135 degrees and the back and footrest works together.